In almost all English dictionaries, one meaning of irony (i.e., that which is ironic) refers to an unexpected outcome or a surprising consequence. Social psychologists, however, reference ironic processes predicated upon the inner workings of the mind. Thus, ironic processes are mental processes. What is ironic is the nature of a person’s mental processing, such as an unexpected change in thoughts, internal images, feelings, attitudes, and so forth. A good way to understand the social psychological meaning of ironic processes is by a demonstration. The following example is similar to the one used in the initial studies of the ironic processes that occur during mental control, particularly during thought suppression. While reading the rest of this brief description about ironic processes, simply follow this basic instruction: Try not to think of a white bear. It is worth noting that the instruction not to think of a white bear is an instruction to suppress a thought. To comprehend the instruction, the reader brings to mind an image or memory of a white bear, maybe one that he or she saw at a zoo, read in National Geographic, or saw on the Discovery channel. For some, the image of a white bear appears effortlessly (i.e., pops into mind); others consciously scan memory until a white bear surfaces. Yet, the instruction was not to think about the white bear. Try it: Do not think of a white bear. This discussion will return to the white bear later. Research on ironic processes by Daniel M. Wegner and his colleagues has yielded fundamental and important conclusions. The explanation of ironic processes during thought suppression is that a person’s mind simultaneously engages in two distinct processes. Each process is involved with a specific mental task. This is the ironic process theory. In theory, one of the processes occurs when a person deliberately tries to suppress an image or memory from his or her mind. To suppress a thought successfully, a person may repeatedly attempt to decrease a thought’s occurrence, ideally, until the thought appears in the mind’s eye no more. To do this takes mental effort: This is the operating process. During ironic processing, another process works in tandem with the operating process. The second process is the monitoring process. The monitoring process is a less effortful mental process. In theory, during thought suppression, a person makes a mental note to wait and then see if an uninvited thought recurs. The monitoring process checks for instances of the thought to be suppressed. When the monitoring process detects an unwanted thought (e.g., while on a diet, you notice the recurrent mental image of your favorite dessert food), the operating process attempts to replace the unwanted thought with something else (e.g., you try to distract yourself by reading the newspaper). If both processes operated harmoniously all of the time, people would be quite proficient at suppressing undesired thoughts. So far, there is nothing ironic about the ironic process theory. In laboratory studies, when a person became sufficiently occupied with other tasks besides trying to suppress an unwanted thought, fewer mental resources were available for the person to attend to his or her operating process. In these studies, participants knew that their goal was to suppress a thought. However, when their attention and mental focus shifted from thought suppression to other new mental activities, the conscious pursuit of suppressing a thought decreased or stopped, but the monitoring process continued. The results of this research suggest that it is easy for most people to continue monitoring the occurrence of unwanted thoughts. However, when new tasks and activities occupy the body and mind, the operating process slows down or stops, which is the other process needed to suppress unwanted thought. Simply, part of the mind continues to notice the unwanted thought, but another part of the mind does not do anything to get rid of the unwanted thought, because the person is busy processing new information. A consequence of this interplay between each process is ironic processing. An important research finding occurred when participants were asked to do other mental work besides just suppress a thought. The object they wished to suppress became increasingly and unexpectedly (ironically) accessible from memory: The thought to be suppressed appeared more often in their minds, as they were burdened with more than one mental task to do. It seemed that if enough activity occupied the mind, the simple goal to suppress a thought actually became a difficult goal. While processing ironically, people become preoccupied with the very thoughts they try to suppress, even though voluntary control is exerted in an effort to suppress unwanted thoughts. Psychologists do not yet understand exactly why and how this occurs. Recall that earlier you tried not to think of a white bear. You probably had no trouble initially remembering a white bear, but you may have had some trouble with suppressing the image of one as you continued reading. When you first retrieved a memory of a white bear—say, a mental picture of one—the white bear was just as accessible as any other memory (e.g., a boat, a doughnut). However, after you were given the instruction to ignore the image of a white bear, you also focused your attention on reading these words and sentences. The extra mental activity needed to read may have been enough to deter you from using all of your operating processes toward getting rid of the image of a white bear. As you continued to read, you might have noticed the returning image of a white bear. Because it has taken you mental work to read and comprehend this summary about ironic processes, your operating process worked less efficiently than if you had stopped reading and just focused on suppressing the thought of the white bear. In theory, by recalling a white bear earlier, information associated with a white bear became active in your memory. Recall that while the operating process temporarily helps block out the image of a white bear, the monitoring process continues scanning the mind for occurrences of the white bear as you kept reading. Some of the activated information becomes a distraction during the attempts to suppress thought. The ironic processes that occur during thought suppression are obviously limited to certain kinds of circumstances, such as those where a person must do other things besides constantly attend to suppressing thoughts. Real life is not too different from the laboratory tasks used to study ironic processes. Life is full of surprises and needs constant attention. People are rarely, if ever, left to themselves to put their undivided attention and energy toward getting rid of unwanted thoughts. While people are awake, there is plenty of information to attend to and to think about. The initial research that helped formulate the ironic process theory began with something relatively simple, a white bear. However, researchers also study dieting and the ironic processes that occur while people try to suppress their cravings. Researchers also examined the ironic processes that occur during the suppression of sexist thoughts and remarks. Social psychologists and psychoneuroimmunologists have also begun researching the relationship between ironic processes during thought suppression and immune cell response in the body. Thus, there is some evidence linking ironic processes with physical health and illness. In Wegner’s theoretical review, he suggested several logical directions that research on ironic processes could go. Indeed, by now researchers and practitioners have begun to study ironic processes and their effects from his suggested starting points. For example, one research direction involves identifying personality characteristics related to the susceptibility of ironic processing. Who is most (and least) susceptible to ironic processes and their unwanted effects? Another research direction involves identifying the ways people build up a resistance or psychological immunity to ironic processes. How do people inhibit or block the undesired aspects of ironic effects during thought suppression? Research on ironic processes is also applicable to clinical psychology. The ironic process theory is useful to clinical psychologists interested in the mal-adaptive ironic processes, such as those that tend to occur in individuals with obsessive-compulsive disorder and post-traumatic stress disorder. Researchers in the fields of social cognition and social psychology of the late 20th and early 21st centuries helped uncover a pattern that human thoughts routinely engage in, ironic processing. Researchers have only recently begun to invent testable theories and scientific methods that help psychologists understand why and how ironic processes are adaptive (and sometimes maladaptive) mechanisms of human thinking. The research on ironic processing described here extends well beyond social psychology. 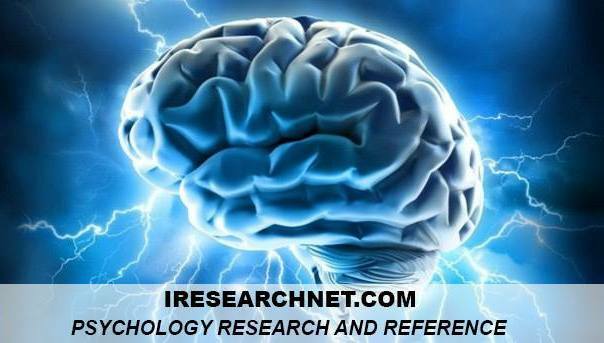 Recent research on this topic is interdisciplinary, with insights from clinical and cognitive psychology, immunology, and neuroscience. The current research conclusions about ironic processes also lend themselves well to interdisciplinary work between social and developmental, evolutionary, and industrial-organizational psychology. Page, A. C., Locke, V., & Trio, M. (2005). An online measure of thought suppression. Journal of Personality and Social Psychology, 88, 421-431. Wegner, D. M., Erber, R., & Zanakos, S. (1993). Ironic processes in the mental control of mood and mood-related thought. Journal of Personality and Social Psychology, 65, 1093-1104.